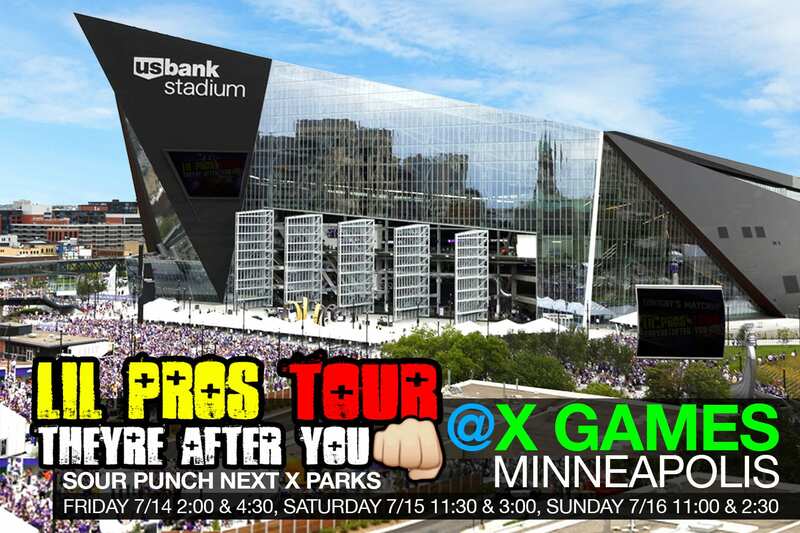 Lil Pros Tour is beyond excited to be onsite at X Games Minneapolis 2017 !! https://lilprostour.com/wp-content/uploads/sites/23/2017/07/LIL-PROS-X-GAMES-MINNEAPOLIS.jpg 1152 1728 Dustin Grice http://lilprostour.com/wp-content/uploads/sites/23/2015/06/lil-pros-logo-web.png Dustin Grice2017-07-11 17:20:182017-07-11 17:20:18Lil Pros Tour is beyond excited to be onsite at X Games Minneapolis 2017 ! !